The wait is over!!! 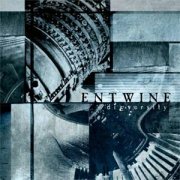 If we needed a confirmation, Entwine are one of the few bands in the world to play a particular kind of love metal full of passion and melancholy with a unique intensity. The melodies we listen to from this album are able to crash in our hearts in the same way the eyes of the person you love are doing. I underline that there are unforgettable songs, and in a period in which the romantic gothic metal is not at its top, Entwine's album is like a red rose full of passion that is blooming! Entwine play romantic metal and this definition is due to the way they play their songs, this is to say full of passion, depth, romanticism and darkness.....what can I add more? First of all, it's evident that they try to play Rock songs more than before, but I notice a deep inspiration in the way of making some songs. The arrangements are very good, concerning the production, I think that it could be better, but on the whole the work is good; in my opinion the sound of guitars could be a bit heavier concerning the rhythmic parts...but this is only my personal taste! "Bittersweet" is a powerful song, played with heavy guitars, and it's evident the wind of change for the band.....A good song, very suitable for live shows!!!! But the jewel of this album is the next song..."Bleeding for the cure”! It’s impossible to describe the depth of this song!!! The romantic taste is joined to the sadness...A melody coming from the bottom of the heart! Please ...try to close your eyes....Entwine will bring you into another world full of passion with powerful crying guitars and with a dreaming vocal interpretation.....No more words...try to listen to it! "Frozen by the Sun" is another unforgettable song! What a passion!!! This is real example of what Love metal is! Mika is able to touch the hidden part of your heart with an excellent interpretation, but I also underline the good work made by Ritta (keyboard)! "Six Feet down below" is one of the few mediocre songs of this album. A refrain melody that sounds similar to BON JOVI 80's era, wholly...the song is not up to the task...an easy-listening refrain and nothing more! "Refill my Soul" is a little better, but in my opinion is not an inspired song ...I notice that there's not the passion that they are able to play in their moments of inspiration! The album needs a romantic touch again, so it's the moment of "Everything for you" that will be the joy of all romantic souls; Mika sings the strophe into a romantic atmosphere where every note seems a caress able to let you dream...This is the real romantic metal! "Lost within", which closes this album in a perfect way! A crying passionate song in which Mika shows his ability to sing with all passion...the melody is full of romanticism and obscurity. Concerning the technical aspect I underline the band's ability to create the sound in a perfect way; an atmospheric keyboard supported by a perfect use of electronic parts, one guitar that makes dark arpeggio, a heavy distorted guitar, an excellent rhythmic session and the fantastic voice of Mika!
" DiEversity" has a couple of not unforgettable songs, but the album is without a shadow of a doubt what passionate people need…a deep caress with a dark touch! Entwine...if they hadn't existed we should have invented them!